During the period of "the 13th Five-Year Plan", our country to organize the implementation of major science and technology projects as the gripper, continue to promote the development of high-end equipment manufacturing industry, full swing and implementation of the aero engine and gas turbine major projects, promote the development of large aircraft engine, advanced helicopter engine, heavy duty gas turbine and other products, and initially establish the basic research, technology and product development of independent innovation of aero-engines and gas turbines. 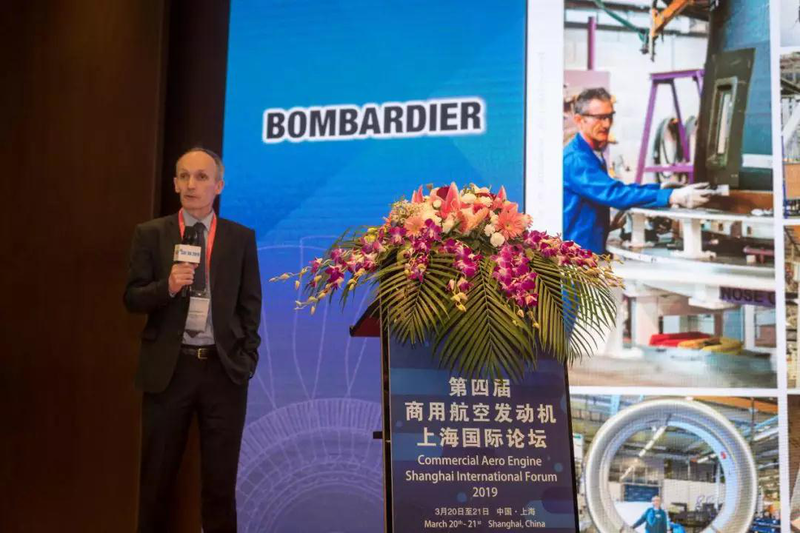 The 4th Commercial Aero Engine Shanghai International Forum was solemnly held in Shanghai Hongqiao Linkong Economic Demonstration Zone from March 20th to 21st. It hosted by Shanghai Society of Aeronautics, Co-organized by AECC Commercial Aircraft Engine Co., Ltd., Supported by Chinese Society of Aeronautics and Astronautics, Shanghai Hongqiao Linkong Economic Demonstration Zone, Commercial Aircraft Corporation of China, Ltd., China Eastern Airlines, Aircraft Strength Research Institute of China, China Baowu Steel Group Corporation Limited, and organized by Galleon (Shanghai) Consulting Co.,Ltd. At the invitation of the organizing committee, JIN Hongming, Secretary-General of Shanghai Society of Aeronautics, presided over the opening ceremony, SHI Jianzhong, Chairman of Shanghai Society of Aeronautics, delivered the opening speech, and Sun Yin, Vice director of Shanghai Hongqiao Linkong Economic Zone Office of Changning District, delivered the welcome speech. As the heart of aircraft, aero-engine is known as the "flower of industry", which directly affects the performance, reliability and economy of aircraft, and reflects the strength of a country's science, technology, industry and national defense. Compared with developed countries, China is still in the initial stage, the development system is not yet mature, the engine manufacturing backward seriously restricts all kinds of new machinery and equipment. Therefore, how to promote the development of aviation industry and improve the level of aero-engine development has become one of the urgent problems to be solved in China. 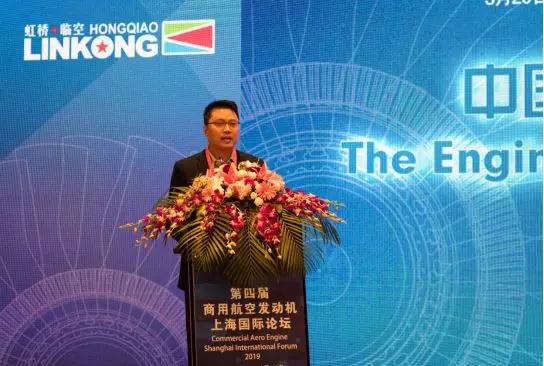 JIN Wei, Head of Aviation Industry at the Equipment Industry Development Center of the Ministry of Industry and information Technology, pointed out that improving engine technology mainly focuses on two aspects: innovation and cooperation. Innovation should start from three aspects: market ability, technological ability and integration ability. It must focus on safety first, market demand as the traction, innovation through technical cooperation. Engine opening and cooperation is the main trend in the future, and also the mainstream trend in the world. Through open sharing and cooperation, we can not only better cope with the challenges faced by the aviation industry, but also promote the progress of the whole industry. At present, China continues to expand its opening up in the aviation field and optimize its cooperation environment. China will promote the continuous development of the aviation industry through multi-channel open cooperation mode. According to the latest global market forecast issued by Airbus, the annual growth rate of global air passenger traffic is 4.5% in the next 20 years (2016-2035). More than 33,000 aircraft of class 100 and above (including 32,425 airliners and 645 cargo aircraft that can carry more than 10 tons) need to be added, with a total value of about $520 million. By 2035, the global fleet of passenger and cargo aircraft will double from 19500 today to about 40,000. This forum has aroused heated discussion on the topic of China-Russian long-distance wide-body passenger aircraft. Li Geping, Deputy Chief Designer of CR929 Wide-body Aircraft from COMAC Shanghai Aircraft Design and Research Institute, focuses on the integration of engine and power device of long-range wide-body aircraft under the theme of "Power Integration Considerations for Advanced Long-range Commercial Aircraft". From the point of view of customer demand, put forward the challenges faced by commercial aircraft research and development, and from two aspects of management and technology gives the corresponding coping strategies. Aiming at the development of innovation-driven aero-engine, YANG Yi, general manager assistant of AECC Commercial Aircraft engine co., LTD., said that the Yangtze river 1000A, a domestic engine supporting CR929, is accelerating the core engine test and the whole machine test of the verifier. In addition, the domestic model of the Yangtze River 2000A wide-body engine equipped with CR929 is also carrying out corresponding design schemes and technical research, including the improvement of capacity. At the same time, he said it would customize the engine equipped with the ARJ21 changjiang 500 to better serve COMAC and meet the needs of the Chinese market. Aero-engine nacelles are the core equipment of the engine, involving aircraft performance, operational safety, system reliability, weight, cost and environmentally relevant key aerospace technologies. David Riordan, Engineering Fellow, Nacelle Design & Powerplant Integration at Bombardier Aerostructures and Engineering Services, mentioned that the nacelle system provides a very important function for the propulsion system of the aircraft, removes the air supply and exhaust of the engine, and its shape also ensures smooth airflow. In the process, noise reduction and ventilation are provided, so the structure of the nacelle is more demanded in the face of inclement weather. In this regard, David believes that the three key areas of innovation that affect the engine and its nacelle in the propulsion system are: continued optimization of the gas turbine engine and its nacelle; increased integration between the fuselage and the powerplant; and electrification. Optimized turbofan engines and their nacelles are likely to be the preferred configuration for recent commercial aircraft projects, while the nacelle system uses more electrical technology to achieve a “greener design”goal. The additive manufacturing technologies commonly used in the aero engine industry are mainly divided into two categories. The first one is metal addition and non-metal addition. Among them, metal addition technology is the most widely used. The most popular technology is laser selective melting. The other one is laser melt deposition. 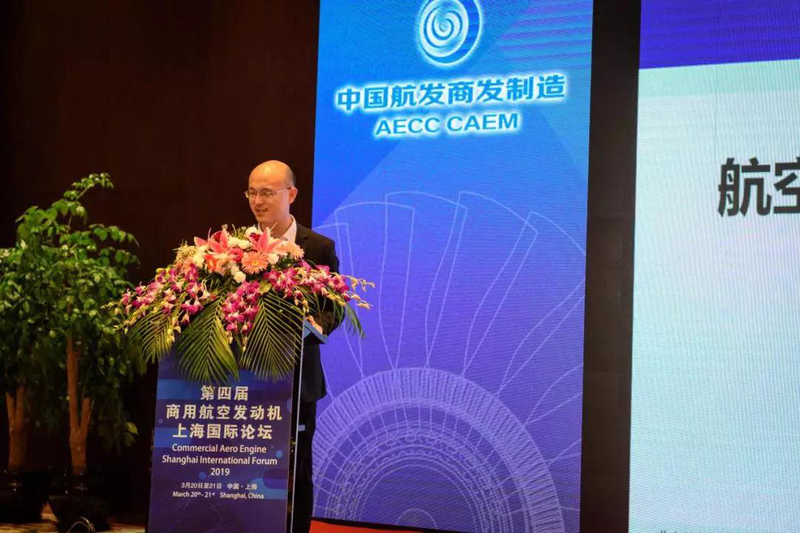 HOU Huipeng, the 3D printing project team of AECC Shanghai Commercial Aircraft Engine Manufacturing Co., Ltd., introduced the achievements of CAEM in manufacturing in recent years, and its metal additive technology has a great advantage in the application of aero-engine. The process is short, flexible, can meet the needs of parts, shorten the development cycle; and significantly improve the design freedom, to achieve low-cost repair of high value-added parts. LI Jiarong, deputy chief engineer, research fellow of AECC Beijing Institute of Aeronautical Materials, described the most important key material list of aero engine hot end components from three aspects: single crystal superalloy trace and impurity elements, small angle grain boundary and fatigue behavior. Several important issues in the development of crystalline superalloys. In China, the high-purity control technology of multi-cycle step-by-step high-temperature refining high-temperature alloy was invented. The small-angle grain boundary of single-crystal superalloy was studied from multi-scale. The influence of small-angle grain boundary on the properties of the alloy was obtained, and the small-angle grain boundary was improved. At the control level, the fatigue crack initiation and fracture mechanism of single crystal superalloys were also studied, and the mechanism of the action of carbides in the second-generation single crystal fatigue training was revealed. The fatigue performance of DD6 alloy is higher than that of the second generation single crystals PLA1484 in Europe and America. The forum attracted a total of 250 guests from domestic and foreign government agencies, industry organizations, OEMs, aero engine development units, aviation engine parts suppliers, related universities and enterprises. Focusing on the development needs of the global commercial aero engine industry, the focus is on industry policy, global cooperation in commercial aero engine market and localization in China, advanced power system integration of civil aircraft, intelligent manufacturing technology, additive manufacturing technology, and simulation technology, advanced test and test technology, advanced aero engine materials research and development issues. During the forum, guests spoke freely and explored the innovative development path of the commercial aviation engine industry, and jointly planned to create value and mutual benefit and win-win strategy. Through the platform of the commercial aero engine Shanghai International Forum, it created a good environment for technical exchange, cooperative innovation and collaborative development. Through keynote speech, panel discussions, exhibitions, business meetings and media interviews, the forum discussed issues related to the development of China's commercial aviation engines around industry policy dynamics, engine development trends, advanced processing technologies and technologies. Looking forward to have more industry experts and leaders to participate in the forum next year.